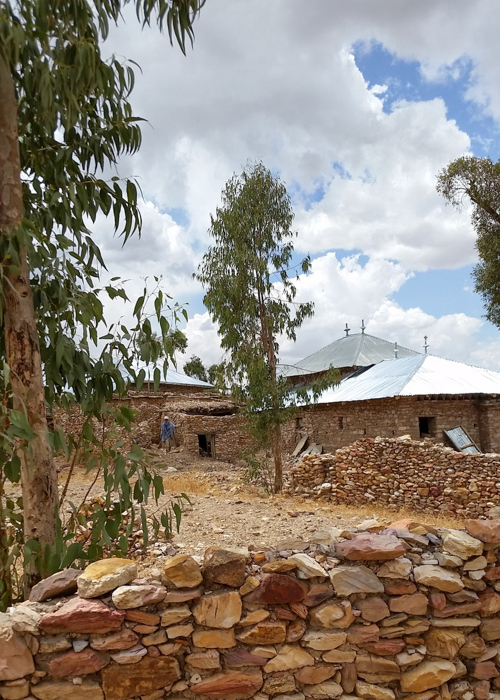 Last year this time I was preparing to fly to Ethiopia in order to visit ancient Christian churches and monasteries and come to a deeper appreciation of Ethiopian Christian art. 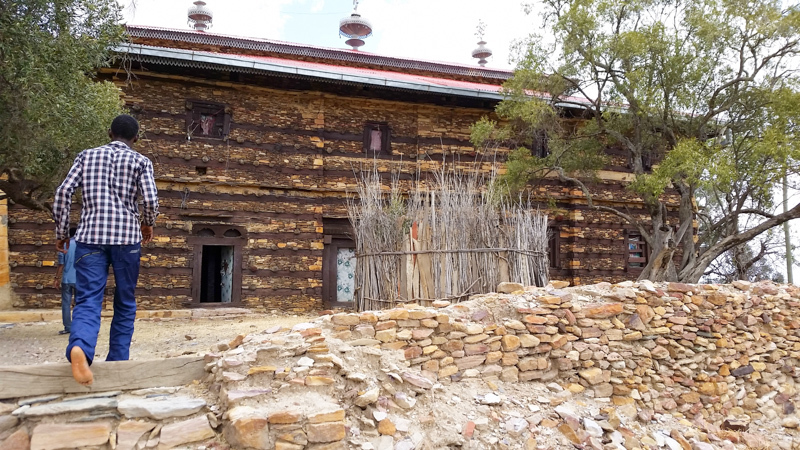 One dream was to visit the monastery of Debra Damo. This video gives you an insight into the challenge I faced to scale the side of the cliff in order to gain access to the monastery. I am happy I did it a year ago because I’m not sure if I could do it again. 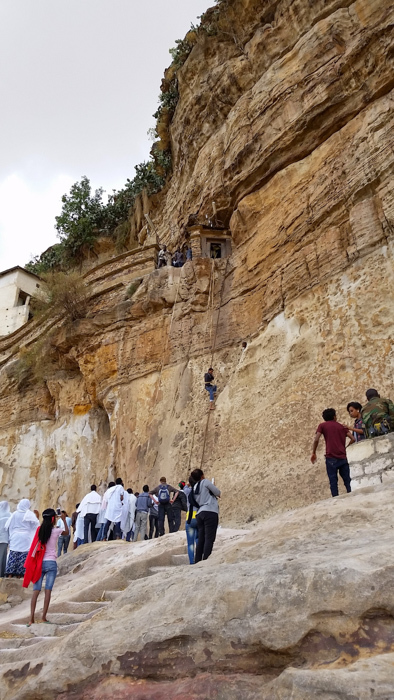 This entry was posted in Faith, Travel and tagged Debre Damo, Ethiopia, Monastery, Rock Climbing on March 8, 2016 by frjfkauffmann. 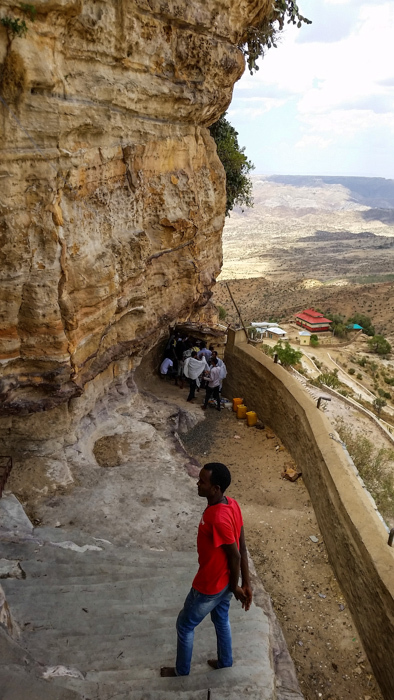 My journey to the monastery Debre Damo was a dream come true. It was like approaching an island in the heavens. The monastery sits atop a sheer-sided flat top mountain. 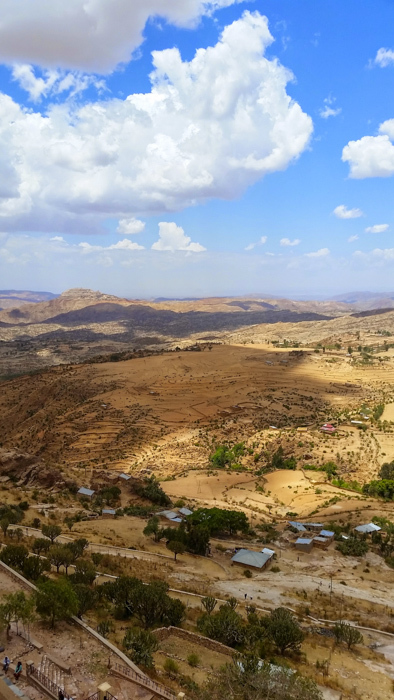 Abuna Aregawi was one of the Nine Saints who established Debre Damo. 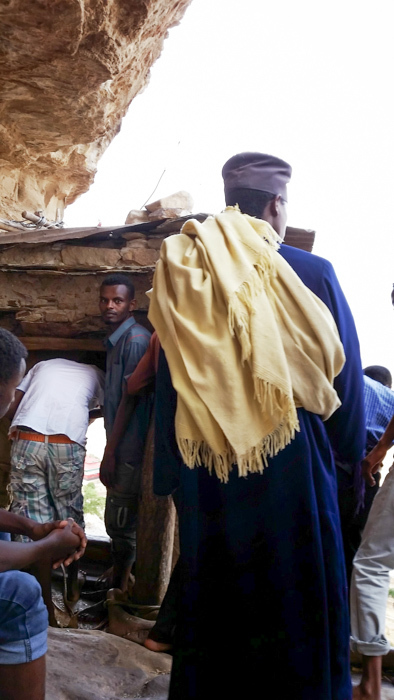 Ethiopic hagiography relates that a snake lowered his tail down a 15-meter cliff and he climbed up. Today a rope is lowered and you begin an ascent. 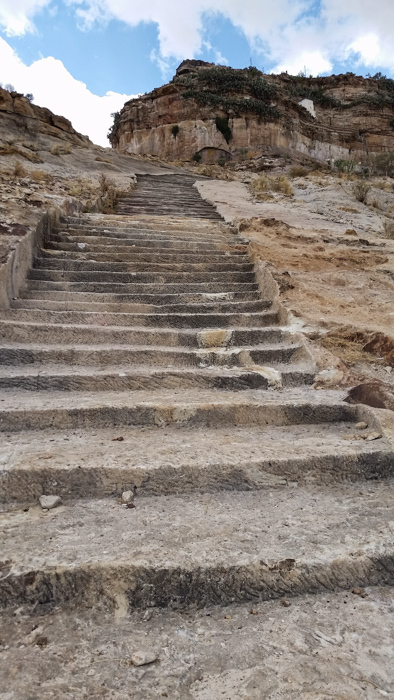 The Stairs: You climb almost 300 stairs to get to the base of the monastery. 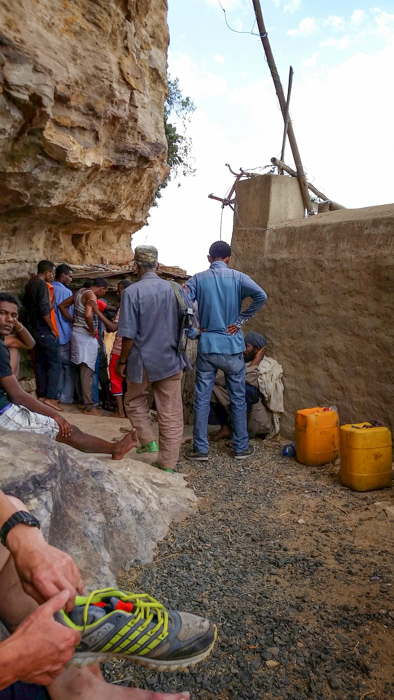 40 years ago when I came to Ethiopia I wanted to visit Debro Damo. At that time it was in a war zone. Today I did visit. The only access is to climb this cliff with a rope. This is a closeup of the previous picture, showing a young man partway through the ascent. 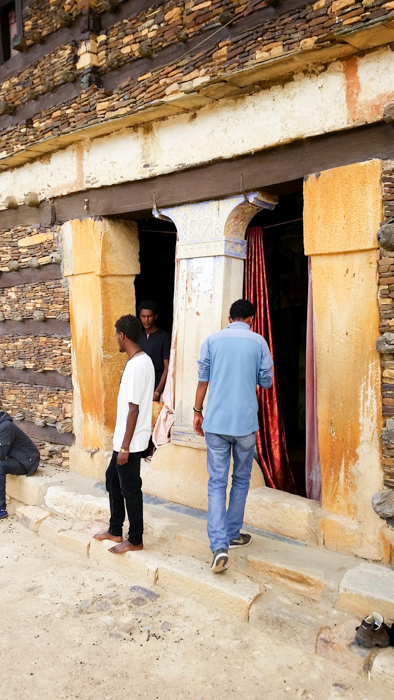 The Monk: He greeted me like a brother and the young guys were delighted and were talkative and were as amazed as I that I made it. If I had not my sabbatical would have been cut short. The monastic church. 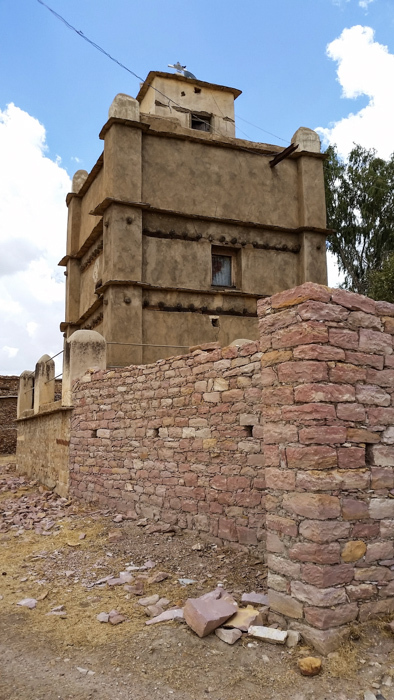 The church dates to the 6th century and is a good example of Aksumite architecture. I wanted to pick up a drum however was hesitant. 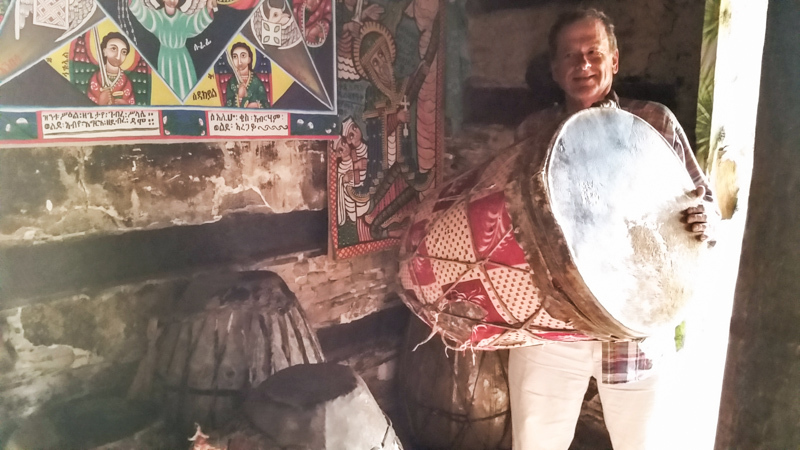 The priest smiled and invited me to pick up the drum. 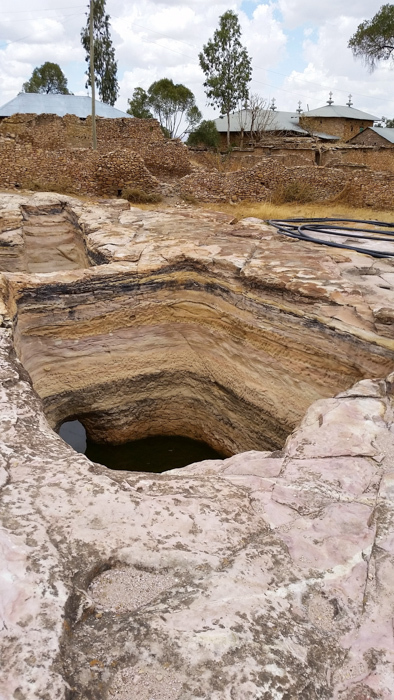 The 200 monks are self-sufficient and collect their water in these cisterns. Getting ready for the descent. 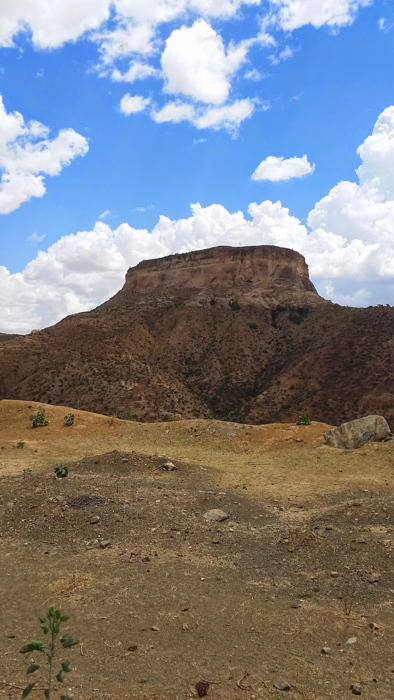 My love for Ethiopia began over 40 years ago in my first Church History course in Rome. We are so deprived of the riches of our exceptional Christian culture! 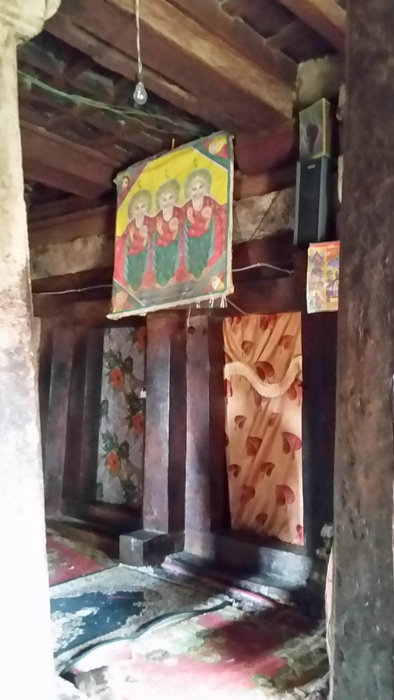 These early monks went to such extremes in asceticism in a place that was barren but then was filled with beauty. Early Christianity is a mystery that is thick in meaning whereas today Christianity in most people’s minds is very thin and flat but in reality is so rich; however that richness is hidden from their eyes. My blog this year is to share my love and fascination with an aspect of Christianity that has captured my heart and leads me to a deeper love for Jesus. As for me because my mind lives in this ancient world, the modern world for me is very flat and thin whereas the Christian world is so thick with meaning. 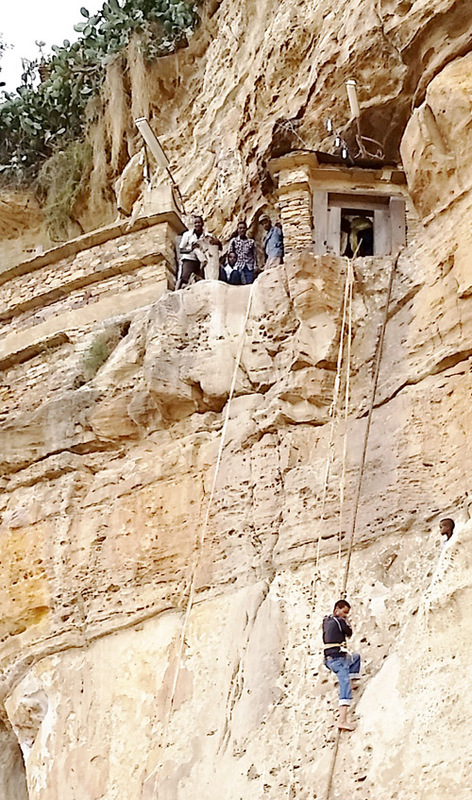 This entry was posted in Faith, Travel and tagged Debre Damo, Ethiopia, Monastery, rope climbing on March 24, 2015 by frjfkauffmann.